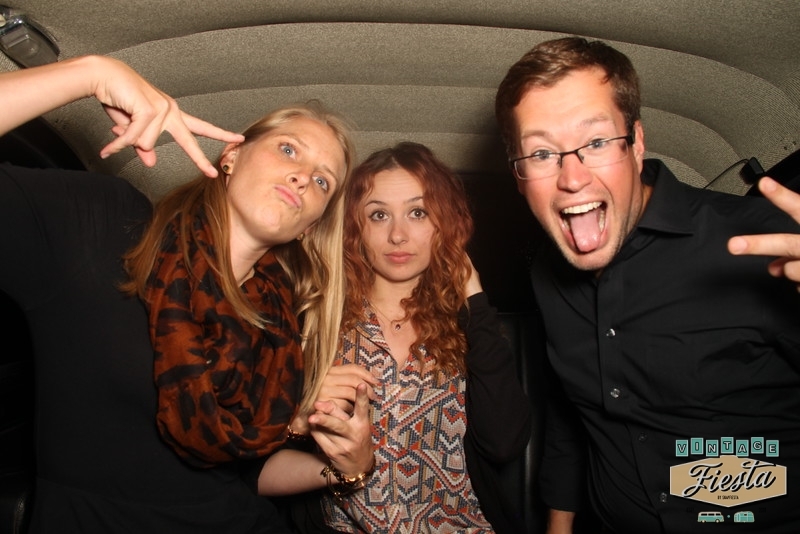 As you may know, our 1959 Airstream photobooth lounge is one of a kind event vehicle. So it is not surprising that Rally Health reached out to us with the desire to have our California based vehicle to Florida for a Healthcare conference in Orlando, and tack on a social media campaign as we pulled the Airstream through 8 states telling their story. The message behind the campaign was “On the road to better health”. We worked closely with their design team to create branding elements for the Airstream. The beauty of the Airstream is the naked aluminum finish, which is a signature of these beautiful trailers, so the amount of the wrap was balanced between branding and messaging, while maintaining the original look. We may be used to travel across North America with our SnapFiesta photobooth equipment, but it was the first time we were going to plan this big of a trip with one of our vintage vehicles. Rally Health and SnapFiesta decided to share this exciting journey with our social media followers and ANI 2017 attendees, sharing pictures of the Airstream throughout Arizona, New Mexico, Texas, and many more as you can see on the pictures below. 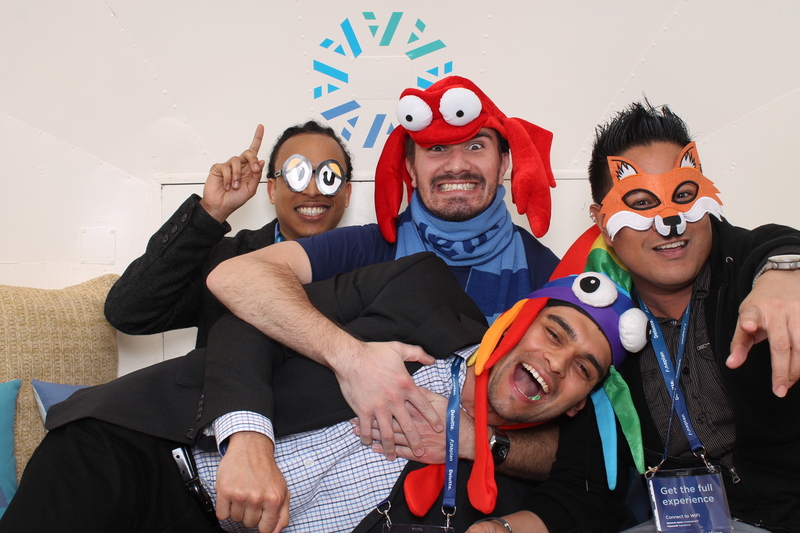 An entire week of social media strategy was now built upon the arrival of the photobooth lounge to the conference. Between the customized decals on the inside and outside of the Airstream, the social media campaign, the branded photos and social media integration at the conference, what a unique way to create brand awareness. 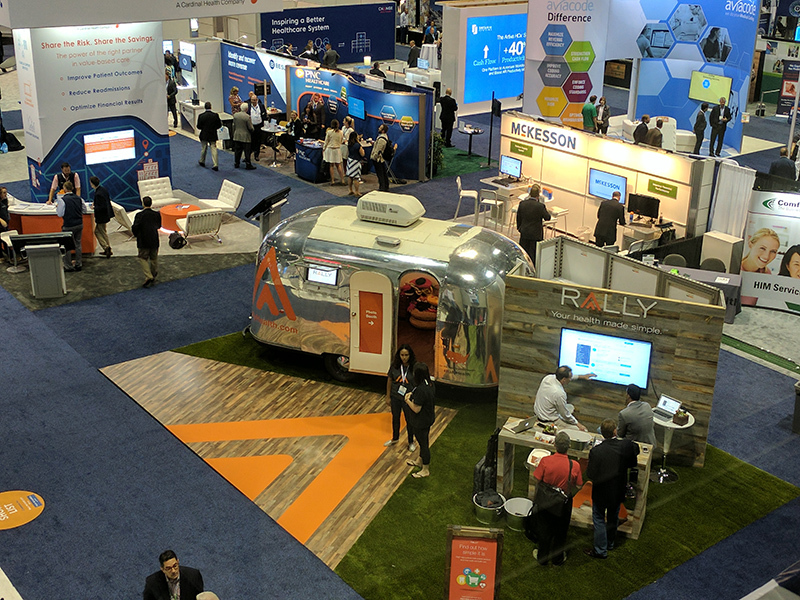 The design team fit the airstream perfectly into the conference, and we can honestly say that their booth was one of the highlights of the show, as we heard from multiple attendees. We loved working with the creative team of Rally Health, and finding new unique ways to use our vehicles to promote brands and create awareness. 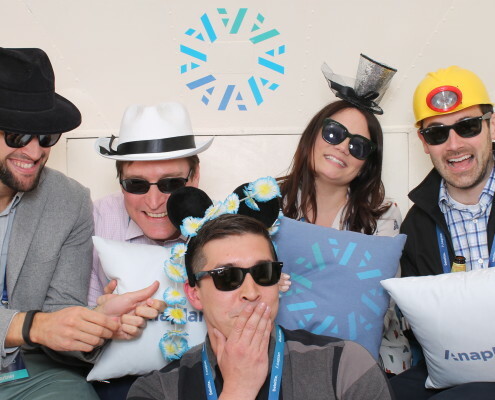 Last week Hub17 brought together more than 1,500 members of the global tech community to explore the power of connected planning and VintageFiesta was there to capture all of the glory. At the conference leaders of the local tech company shared the vision of connected planning, and the new platform for their online community, while customers and partners shared the benefits of using connected planning! 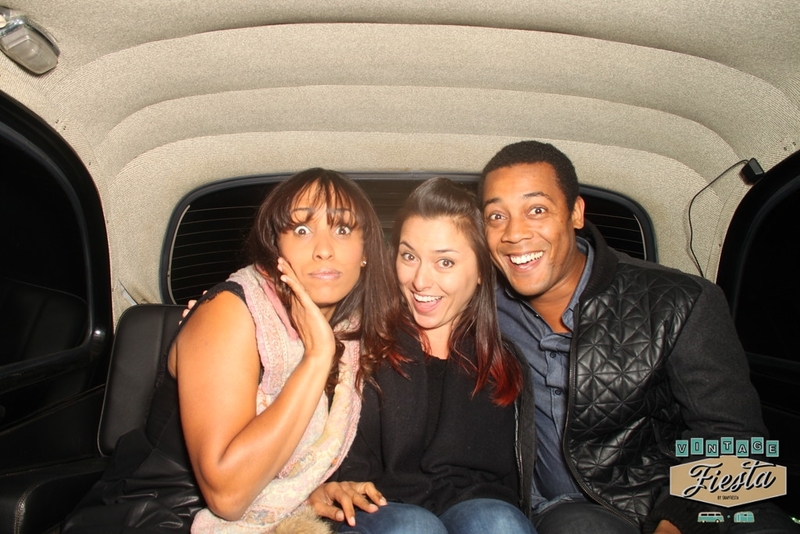 The conference was filled with positive vibes and the closing-night Street Party was the ideal place to celebrate. 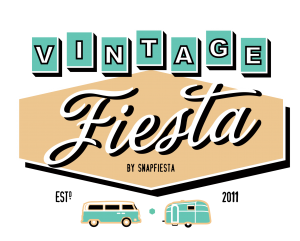 VintageFiesta was thrilled to participate at such an engaging event and have one of our vintage vehicles join their community for a night filled with food, music, laughter, and joy. 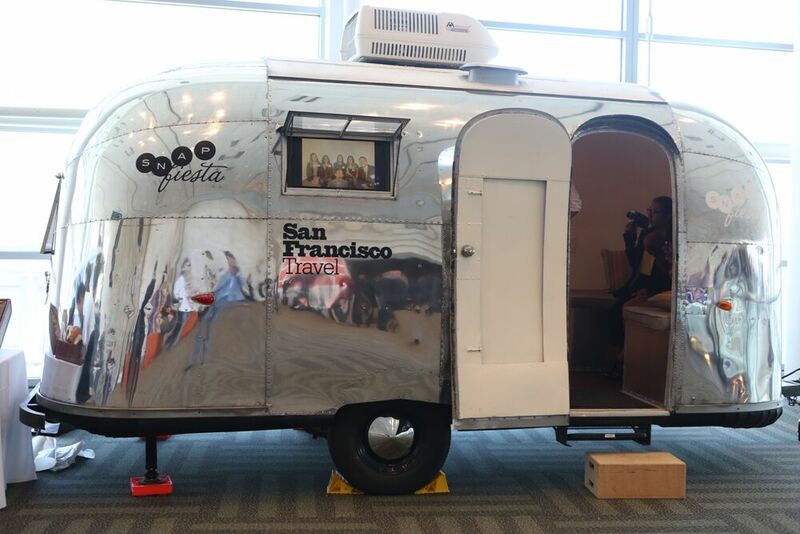 The Airstream was custom branded with the company’s logo on both the interior and exterior of the trailer, serving as a phenomenal addition to the event decor. 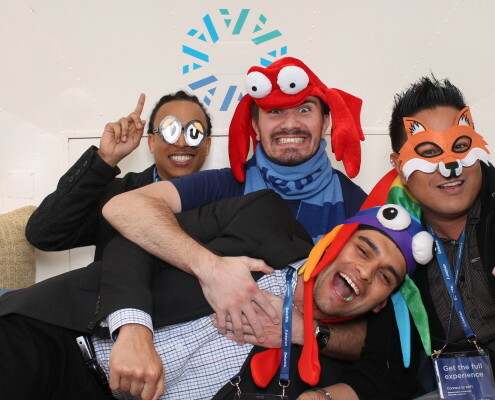 Connecting people is what we love, so being part of Hub17 with our photo booth lounge was fantastic. 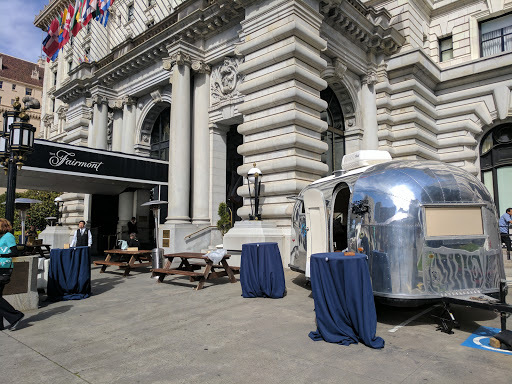 Our vintage 1959 Airstream Globester was parked right outside of the San Francisco Fairmont Hotel as part of the closing night street party, where guests could easily pop in and enjoy our mobile photo booth. 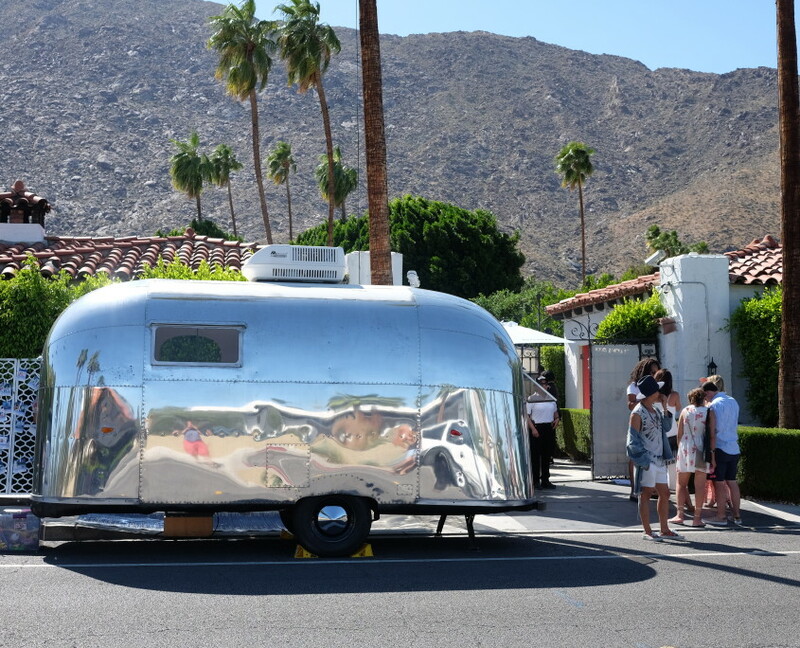 Guests loved the retro vibe of our 1959 Airstream Globester, especially once they realized the trailer posed as both a beautiful lounge space for them to network & relax and a fun photo booth to enjoy. The reprints were definitely on demand with this charismatic group as everyone made sure to get a copy of their wonderful memories! 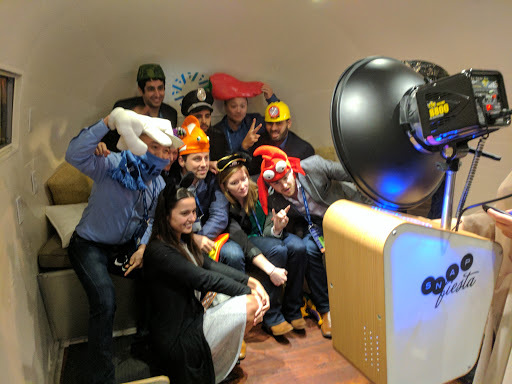 Everyone had a blast posing with our quirky props, enjoying their instant prints, and hanging out inside our awesome Airstream, there was no better place to explore the unlimited possibilities of our retro photo booth party lounge. One thing is for sure, our vintage vehicle experience was thoroughly enjoyed at Hub17! Introducing Terry, an original 1969 Austin FX4 London Taxi. The 1960s were, a time of significant cultural and social change in London, and we have managed to secure a piece of history from “Swinging London.” Terry is the newest addition to our vintage vehicle family here at VintageFiesta. We found our classic taxi at a garage sale in the heart of the Bay Area one sunny afternoon. When we heard the owner was moving out of town and Terry was up for grabs we just had to make sure it came home with us! A short three months after bringing Terry home, it was debuted at our sister company SnapFiesta’s five year anniversary party. 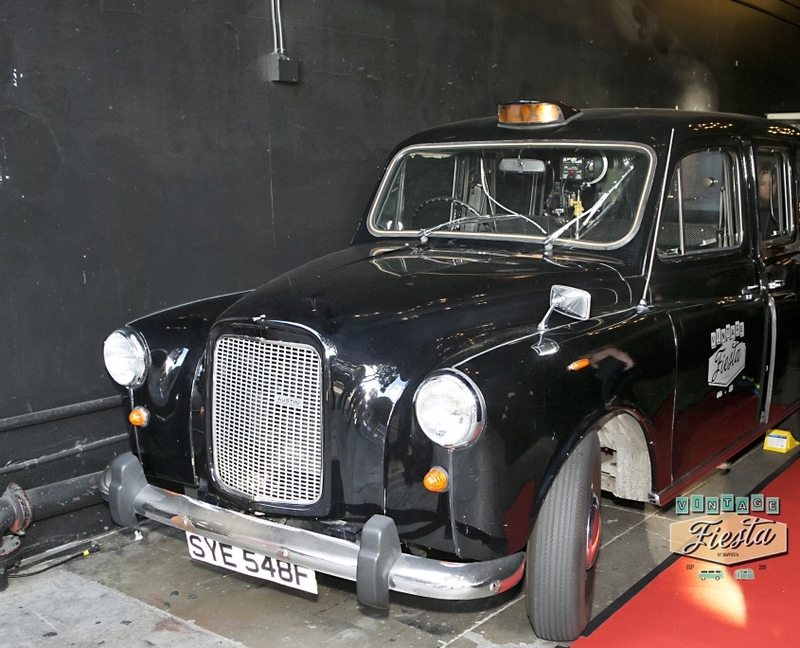 The taxi was located indoors for our guests to enjoy as they entered or exited the venue. Terry added the perfect touch of charm to our classy ambiance. Guests were extremely impressed with the convenience of our vintage vehicle photobooth as they picked up their instant printouts. 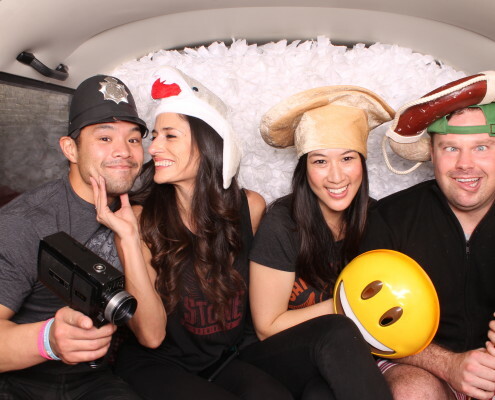 The photobooth design is simplistic, reminiscent of a vintage camera with an off camera flash. 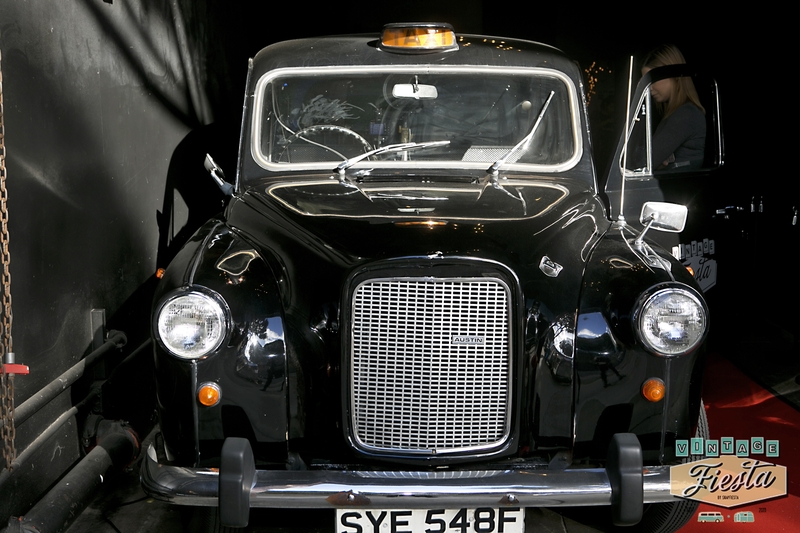 Everyone loved the effortless elegance of the London Taxi as they stepped in and modeled with our London inspired props. Measuring at about 15 feet long the vehicle can sit about three to five people comfortably. All of the doors open towards the middle of the car and the steering wheel is located on the right side truly making it THE quintessential vintage vehicle! 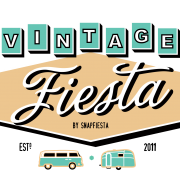 https://www.vintagefiesta.com/wp-content/uploads/2015/07/vintage-fiesta-v1-300x241.png 0 0 Gene https://www.vintagefiesta.com/wp-content/uploads/2015/07/vintage-fiesta-v1-300x241.png Gene2016-07-01 20:10:232017-03-17 17:52:18Meet Terry the Taxi! Coachella is one of the biggest music festivals of the season and even if you couldn’t score tickets to the annual music festival this year, there were endless possibilities with the never-ending list of amazing parties you could hit up! 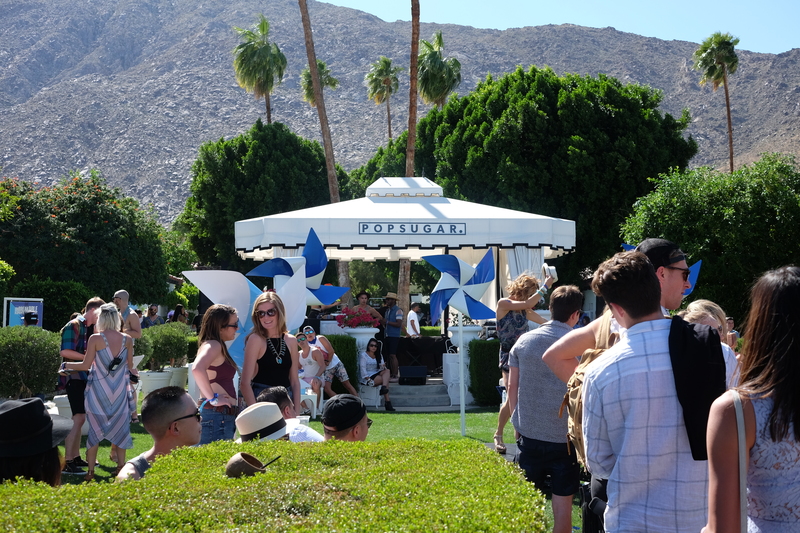 This year VintageFiesta was thrilled to be a part of one of the best parties around Coachella, POPSUGAR’s Cabana Club pool party. 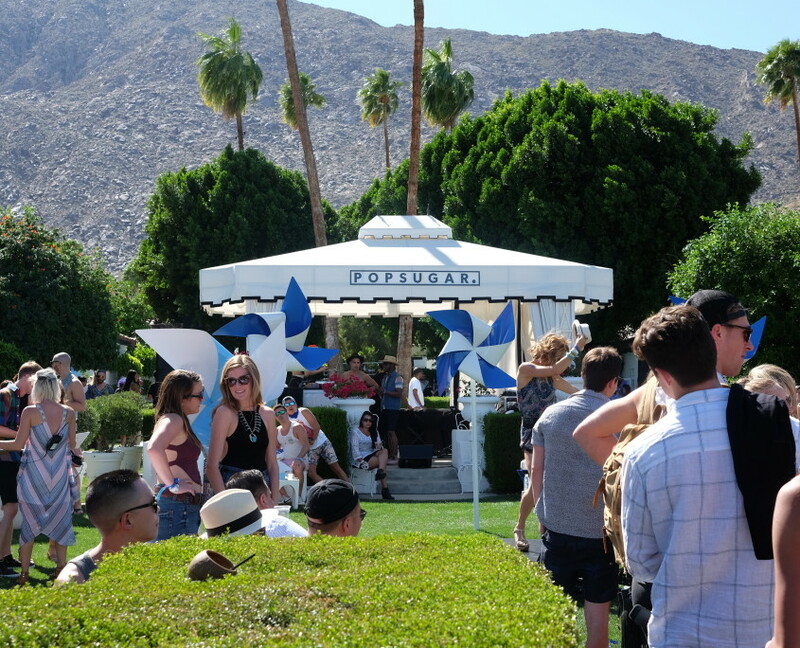 POPSUGAR took over Avalon Hotel in Palm Springs CA for two days, April 15 and April 16, for the POPSUGAR Cabana Party. Here at VintageFiesta we had a great time both Friday and Saturday welcoming guests from inside our Airstream lounge. Guests loved the nostalgic vibe of our 1959 Airstream Globester and couldn’t stop taking their own snaps from inside the lounge. Thankfully no one had to wait to receive their chic pics thanks to our awesome Instagram printer. 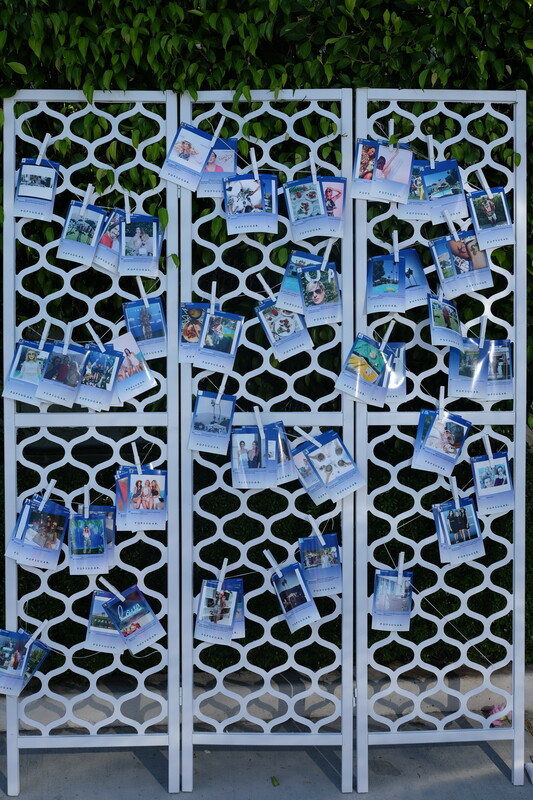 Guests were amazed by the simplicity and convenience of our Instagram printer as they picked up their shots from the photo wall. The Friday night, sunset kick-off party was hosted by actress/model Emily Ratajkowski. Saturday night’s lineup included an astounding performance by Grammy-nominated Jhene Aiko and DJ sets by Hannah Bronfman, Chelsea Leyland and Maad*Moiselle. 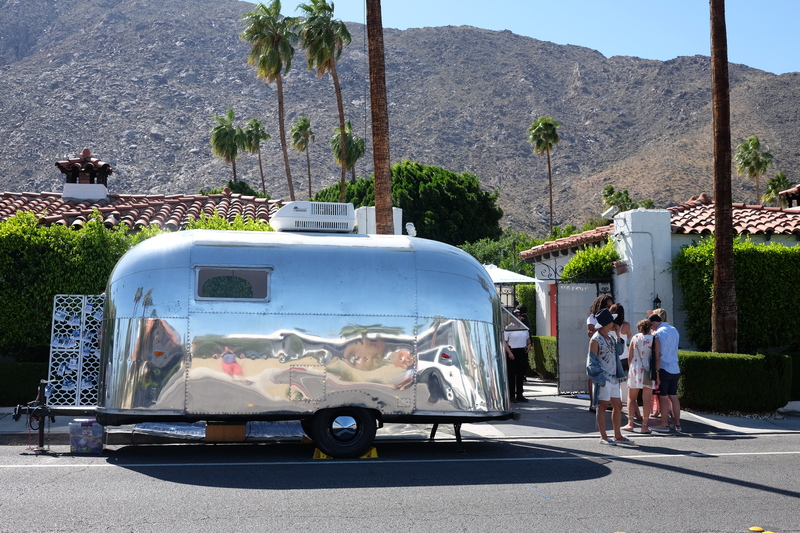 Our Airstream was a perfect addition to enchanting environment at the Cabana Party. We were parked outside of the hotel under the sunny skies of Palm Springs CA, where guests could easily stop by our mobile-photobooth. Some of the stunning guests enjoying the photobooth and retro lounge space inside of our Airstream included: fashionista and Trendy Curvy Style Blogger Ms Kristine, Julie Solomon New York Times best-selling publicist, Atlanta Style Blogger Coco Bassey, singer-songwriter/Locks and Trinkets Style Blogger Miss Enocha, and Emily Jenny Stiletto Beats Lifestyle Blogger. These lovely ladies were just a few of the guests that were able to relish our one of a kind vintage vehicle experience! Coachella is one of the most classic and alluring festivals in the Country every year and this year it was a privilege for us to join in on the fun. Thanks to POPSUGAR and Caravents for trusting VintageFiesta with this fantastic event. With it’s beautiful ocean views, modern skyscrapers, vintage-styled buildings and famous historic bridges, what better city to celebrate romance than our amazing San Francisco. 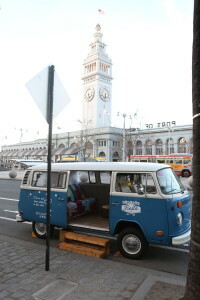 This Valentine’s day in the spirit of love, VintageFiesta decided to go out and offer San Francisco’s love birds some complimentary photos from our VW bus photobooth. 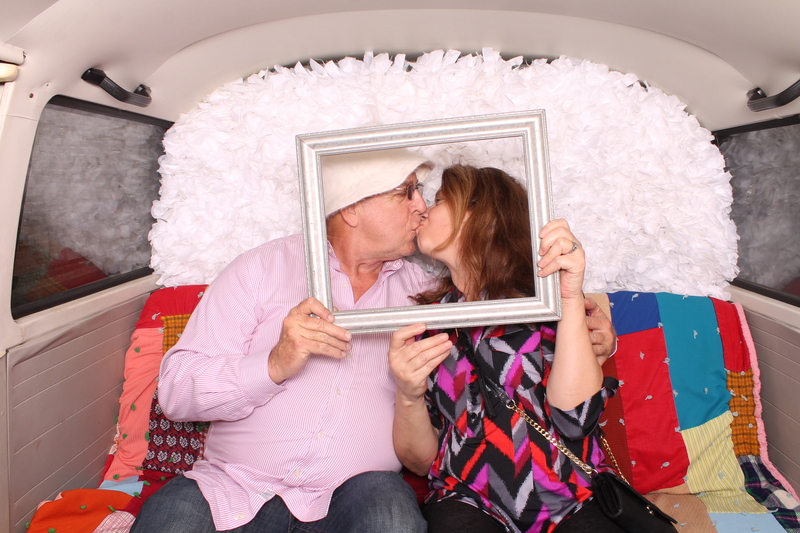 Complete with props, customizable backdrops and social media uploads, our retro VW bus photobooth is the perfect addition to any romantic celebration. 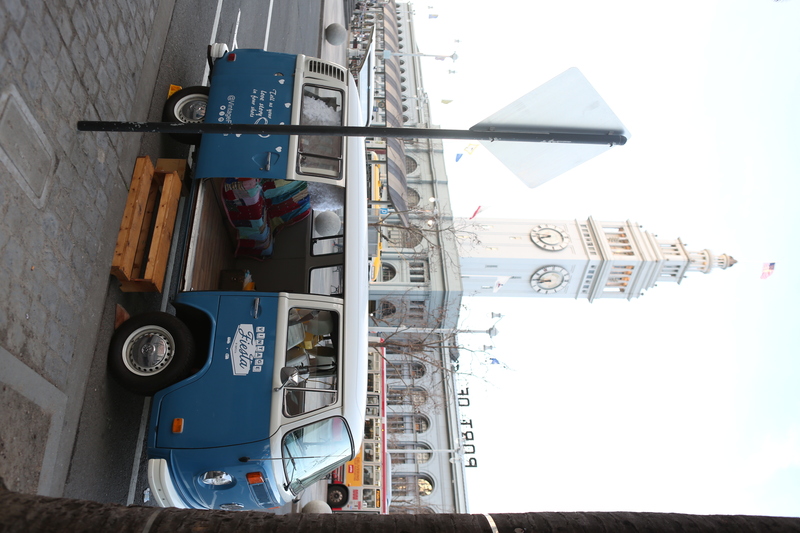 We explored some of San Francisco’s most popular couple’s destinations with our baby blue vintage VW bus photobooth, Vinnie. 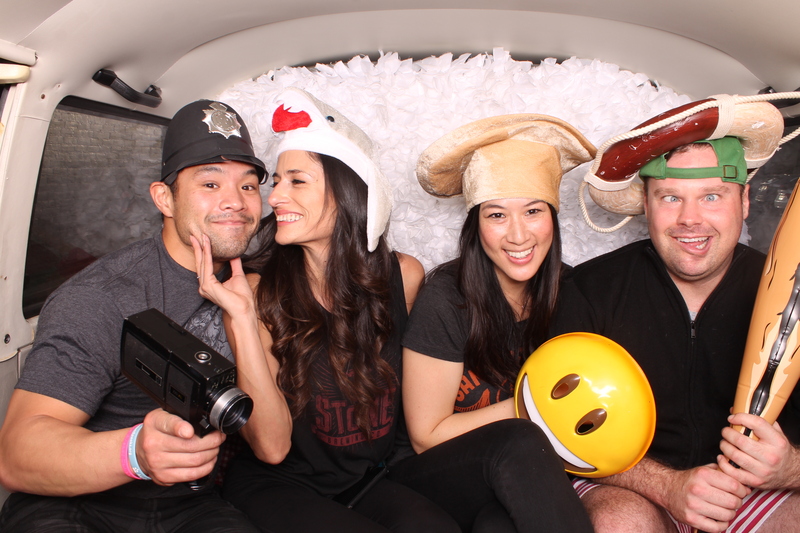 Our bus started off taking photos at Bluxome Street Winery, then we strolled along Embarcadero offering couples the opportunity to recreate their personal love stories in four fun photo booth shots! Couples were invited inside our whimsy bus where they could use our themed props and our white floral backdrop to have some fun and share their love stories. All day long VintageFiesta had a remarkable time watching couples pose, laugh, and enjoy their courtesy photos. Please share the love, don’t forget to follow us @vintagefiesta on Twitter and Instagram and like our Facebook page! 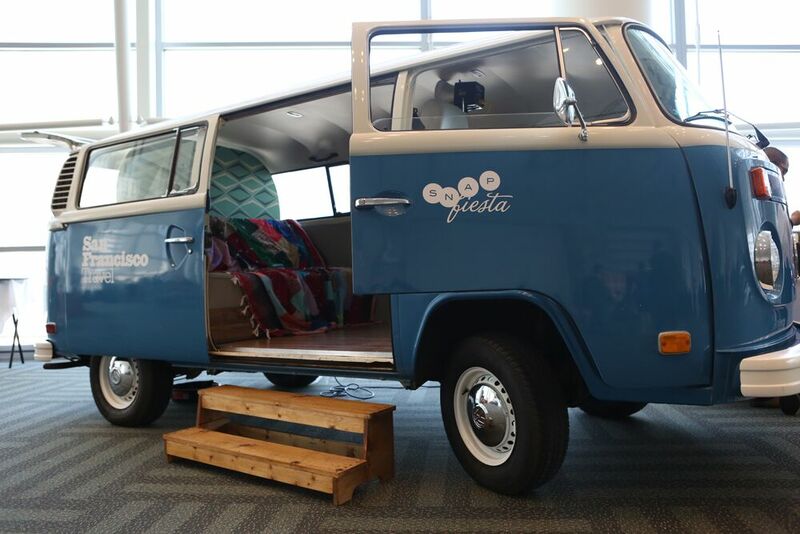 VintageFiesta’s 1959 Vintage Airstream Globster, affectionately named Hellen, and our baby blue vintage VW Microbus we who call Vinnie, made their debut at the 105th Annual San Francisco Travel Association Luncheon on June 24th. The San Francisco Travel Association is a private, non-profit organization whose mission is to enhance the local economy by marketing San Francisco and the Bay Area as the premier destination for conventions, meetings, events and leisure travel. 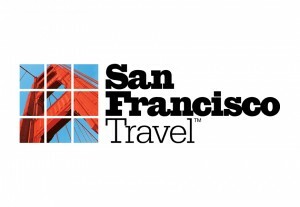 San Francisco Travel is one of the largest membership based tourism agencies in the country, of which SnapFiesta is a proud partner of. Our unique vehicles, Hellen & Vinnie, were custom branded with the SF Travel Logo for the event. Custom branding is a great option for businesses looking to integrate brand recognition and use non-traditional advertising. Hellen the Airstream also has a beautiful lounge space for guests to comfortably hang out in between photo sessions. Both these VintageFiesta vehicles are the result of over two years of hard work and renovations. 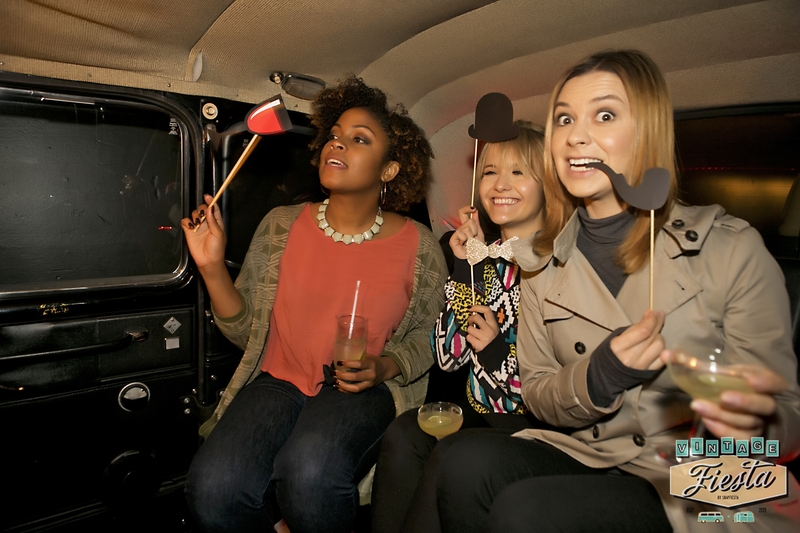 They now have a second life as fun-loving, vintage photo booth vehicles! 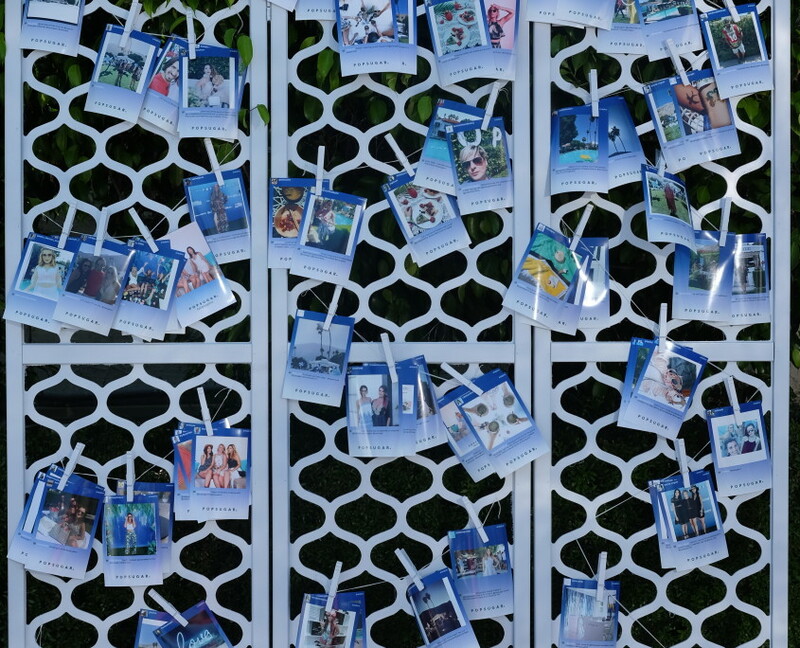 Looking for unique ways to show off your brand or give your guests something to talk about? Hellen and Vinnie are just two of three vintage vehicles available for various events. To request pricing and further information please call (855-762-7343) or use our contact us form.